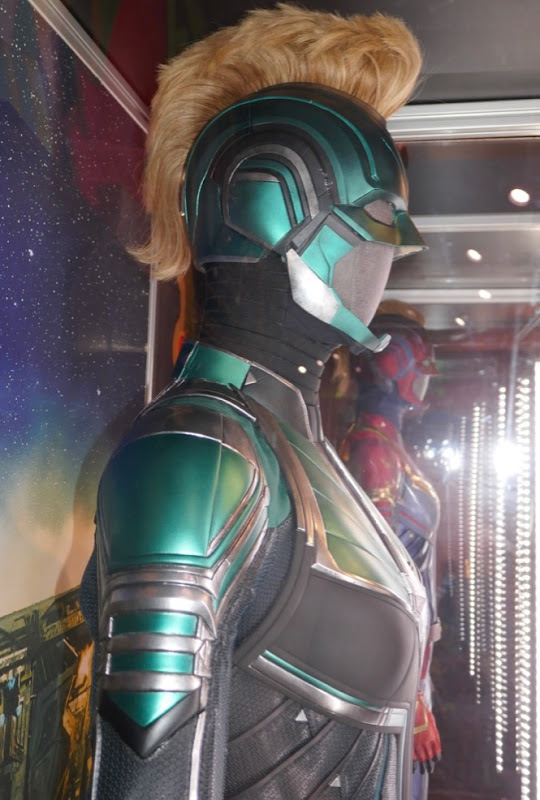 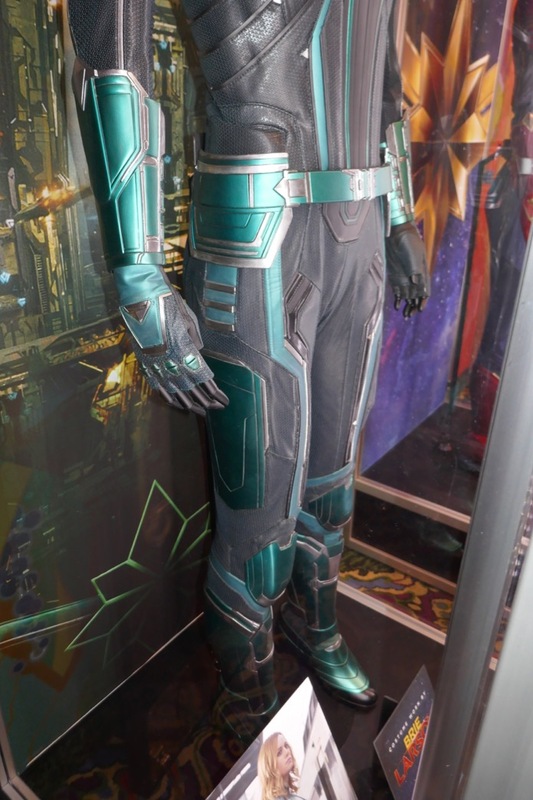 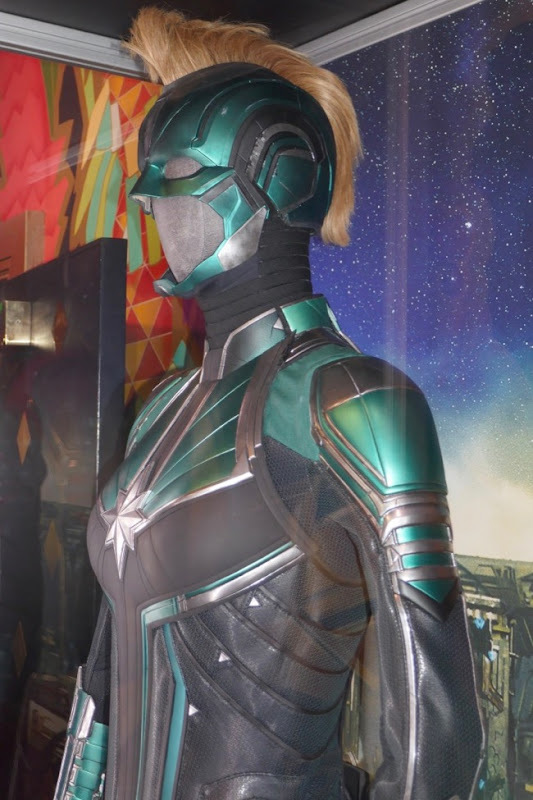 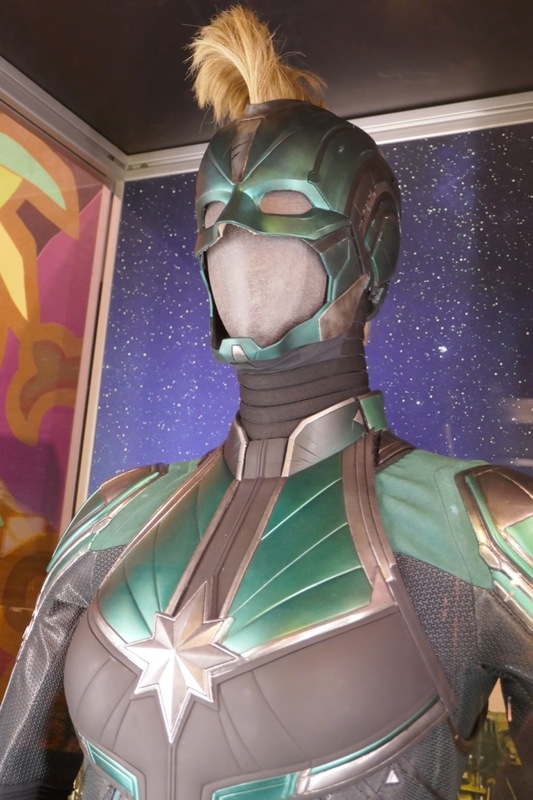 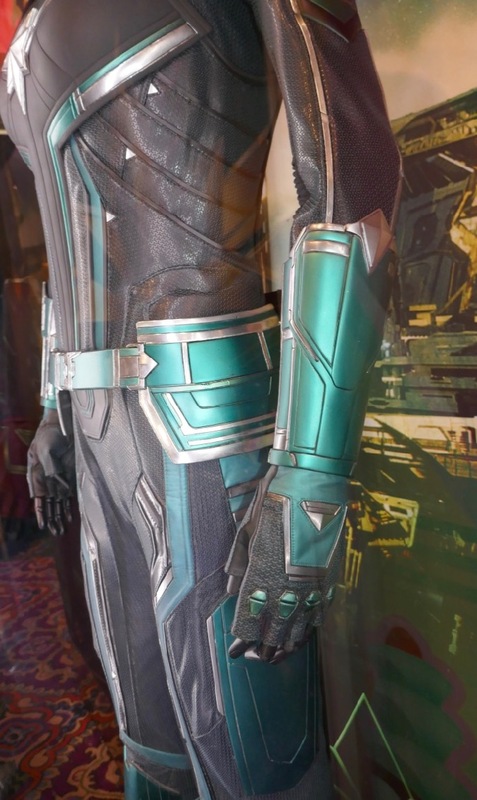 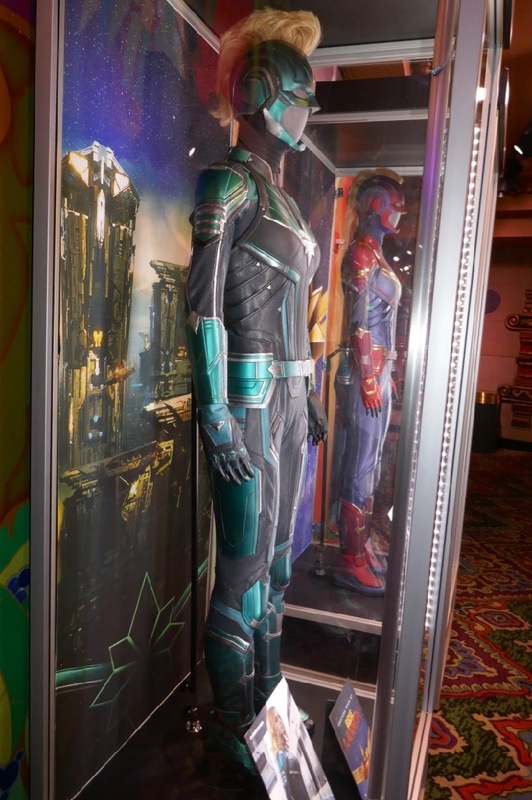 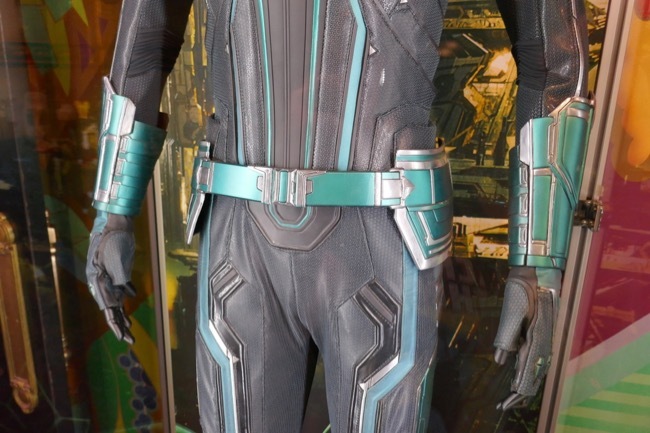 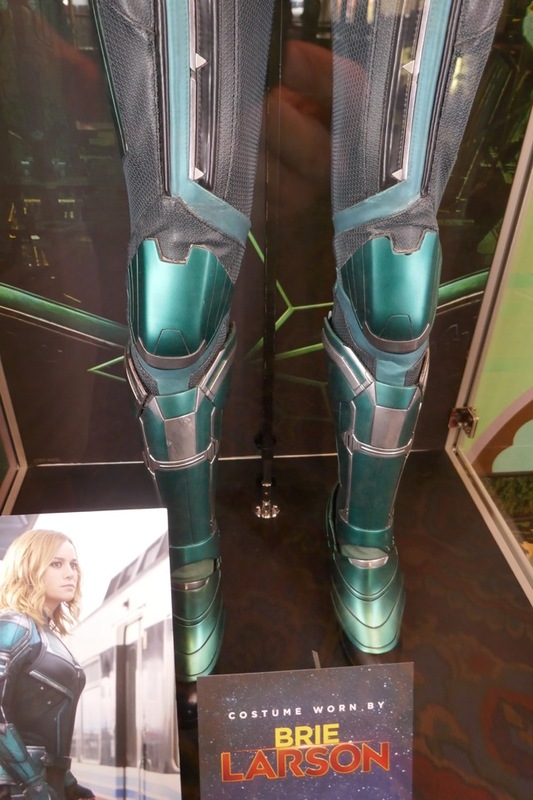 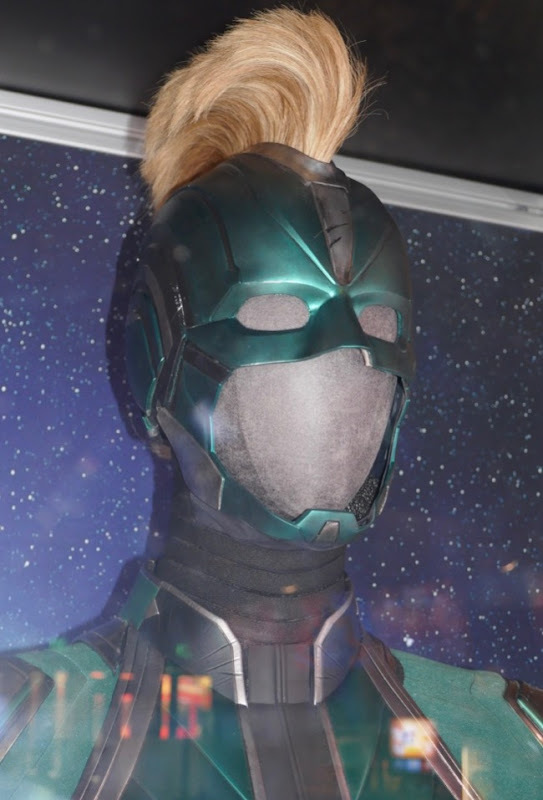 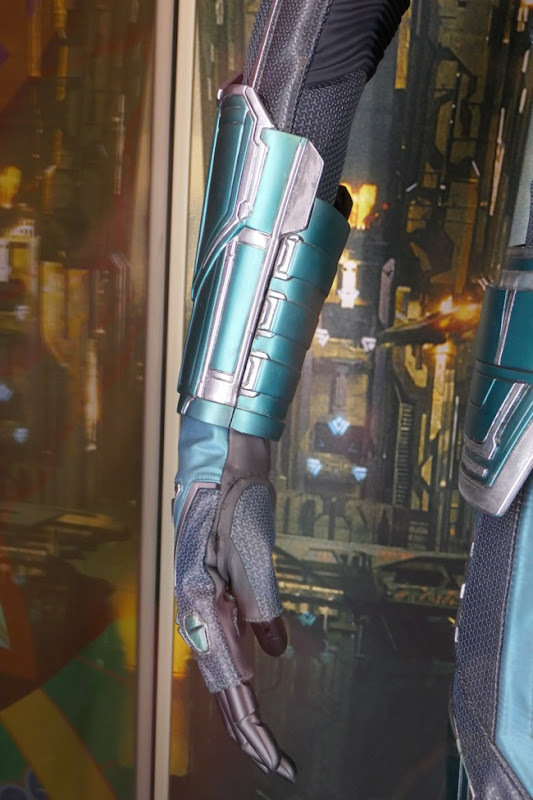 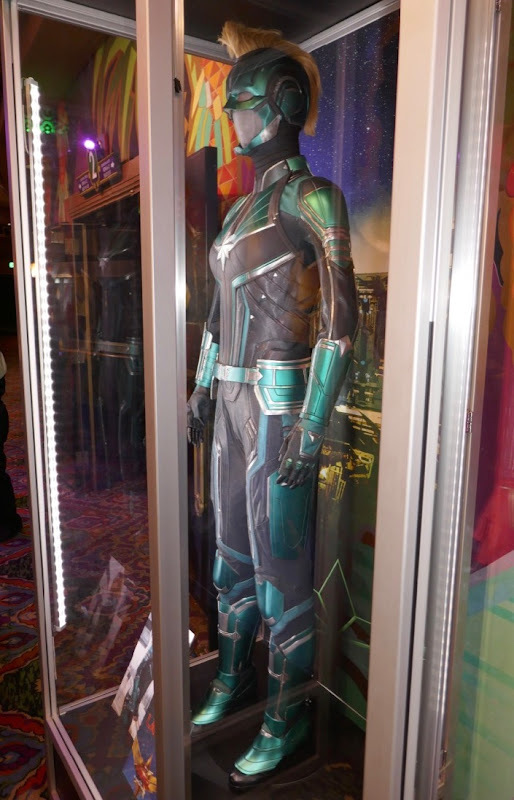 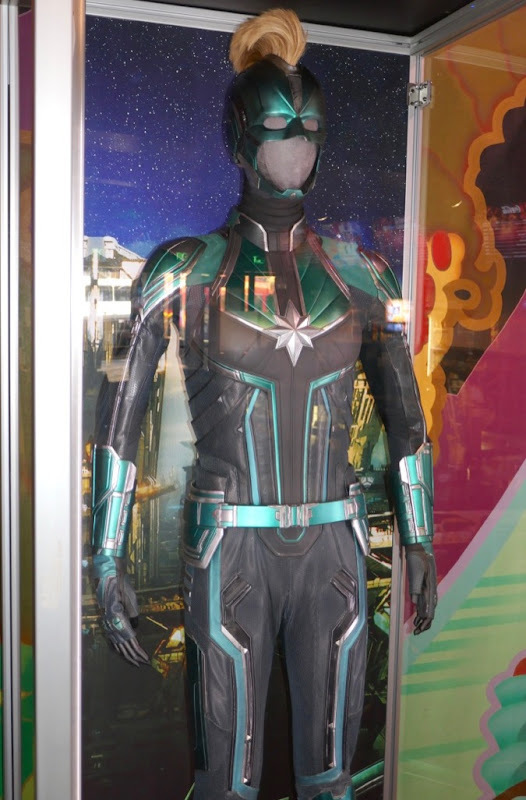 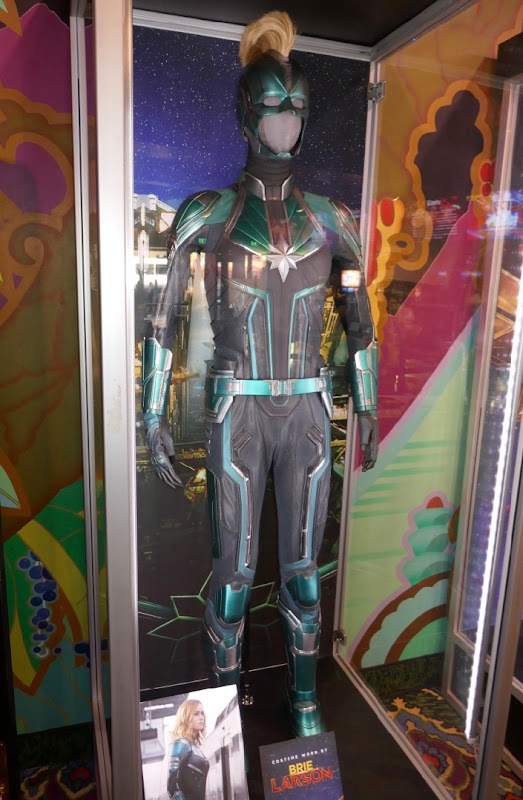 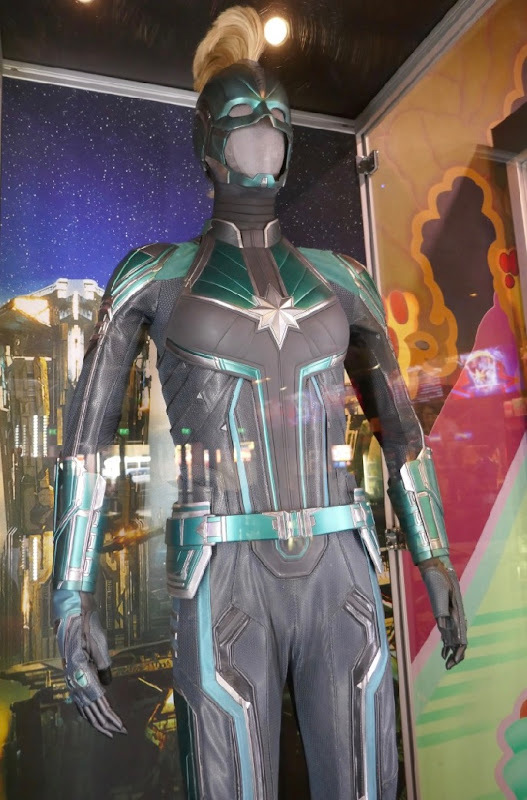 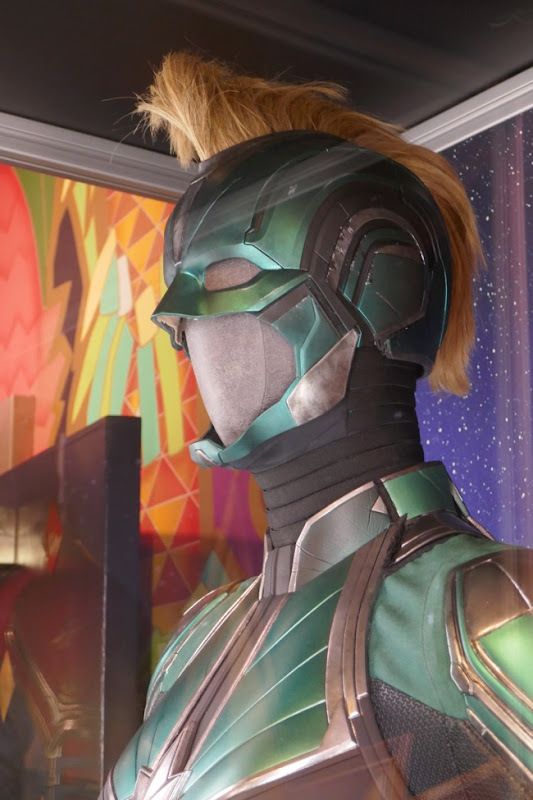 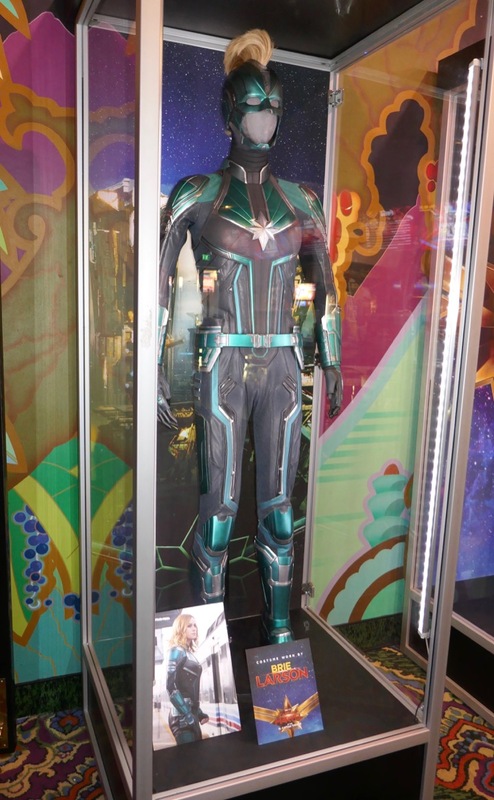 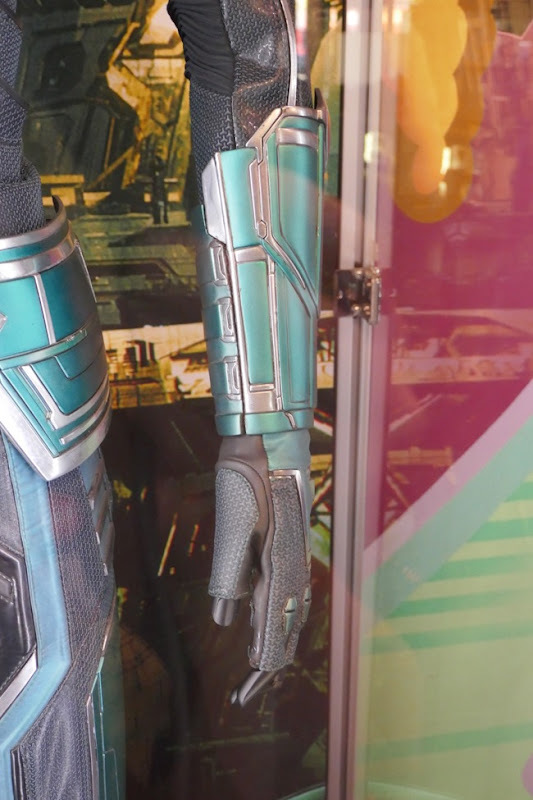 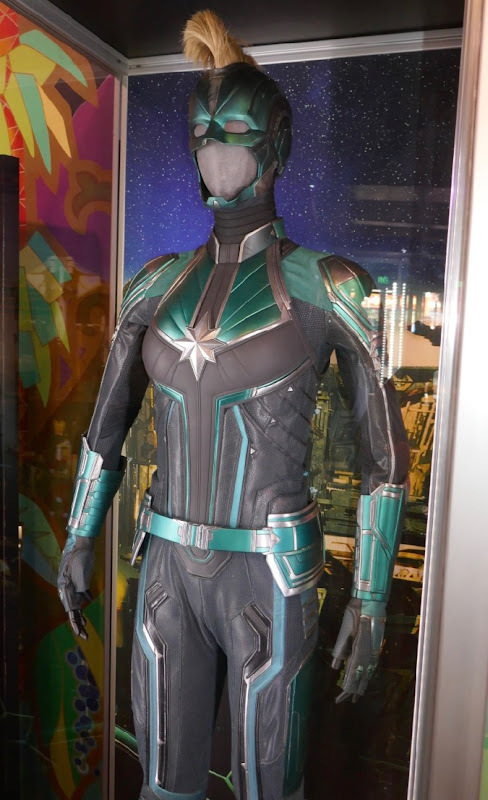 In Captain Marvel Brie Larson plays an amnesiac warrior called 'Vers' serving with the Kree's elite military Starforce and sports this cool green, silver and black uniform as part of the team led by Jude Law's 'Yon-Rogg'. 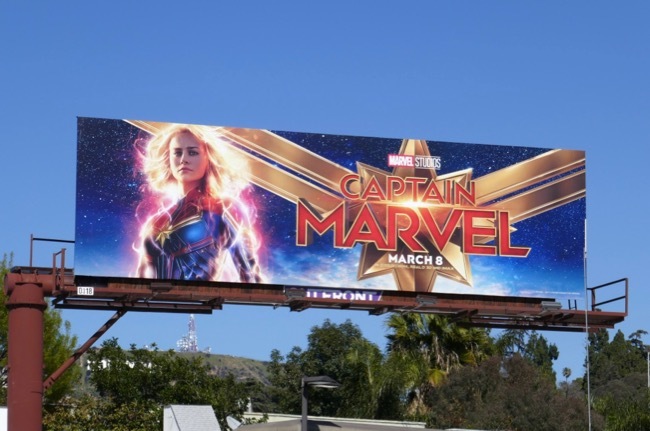 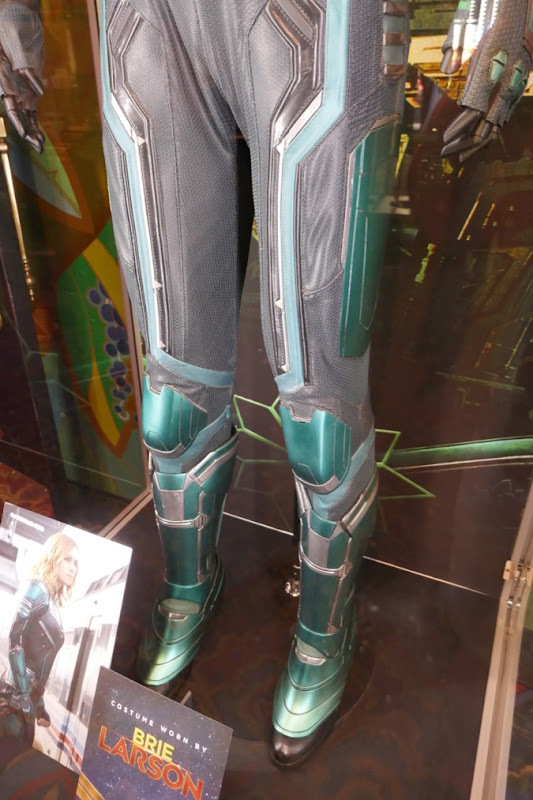 After escaping from the alien shape-shifting Skrulls, she meets a younger 'Nick Fury' (Samuel L. Jackson de-aged with the help of CGI) and soon changes her costume colours using her suit's camouflage capabilities when 'Carol Danvers' learns her true human heritage as a U.S. Air Force pilot and the origin of her powers. 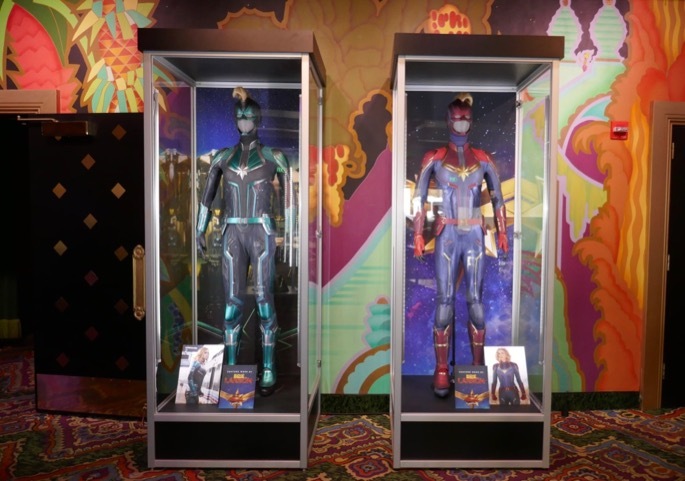 These fantastic costumes were photographed on display at the infamous El Capitan Theatre along Hollywood Boulevard on March 14, 2019. 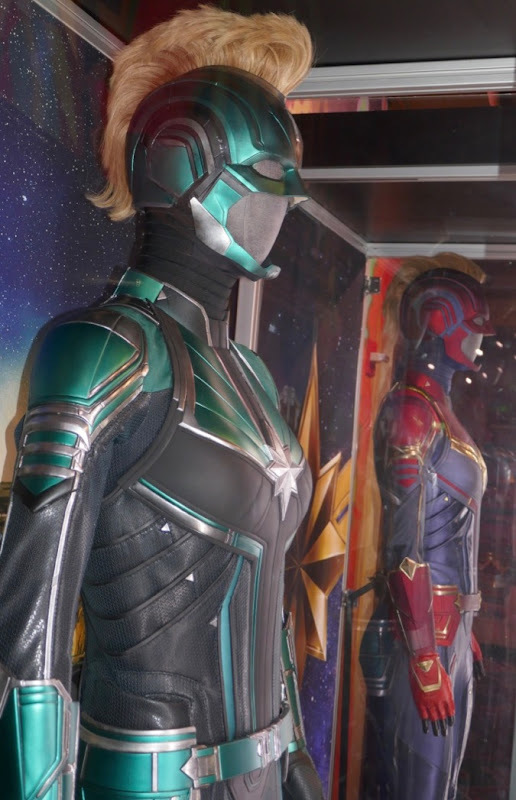 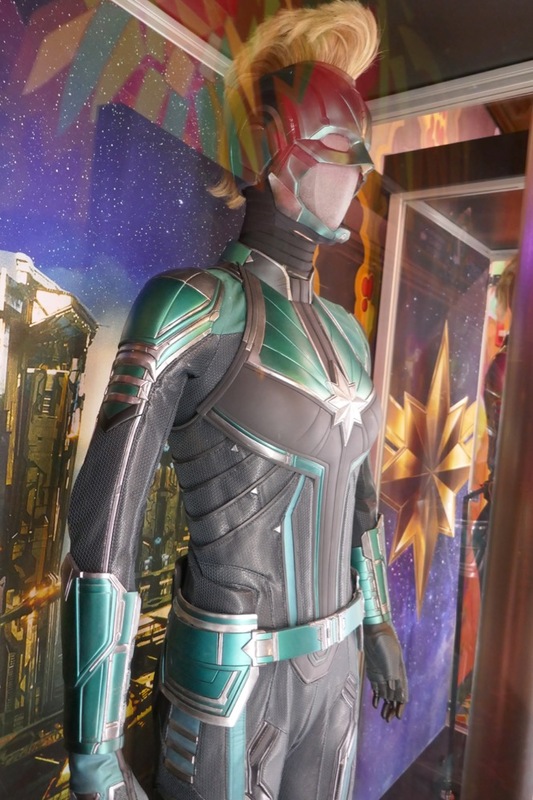 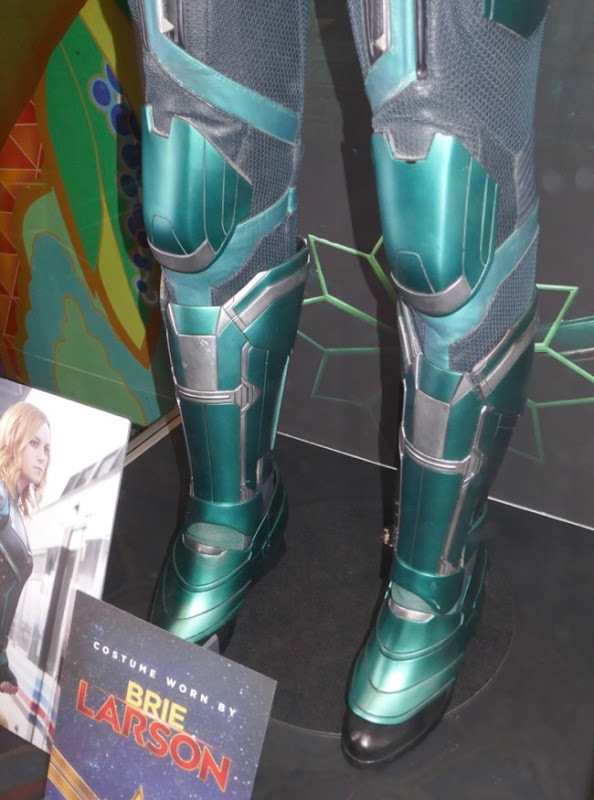 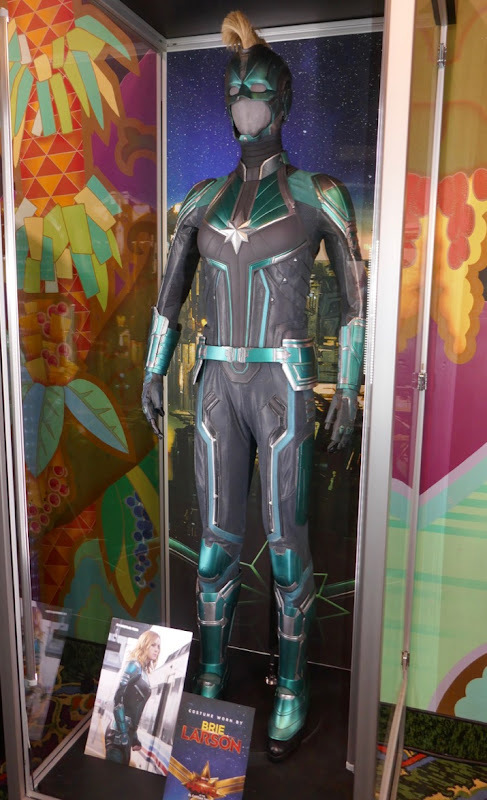 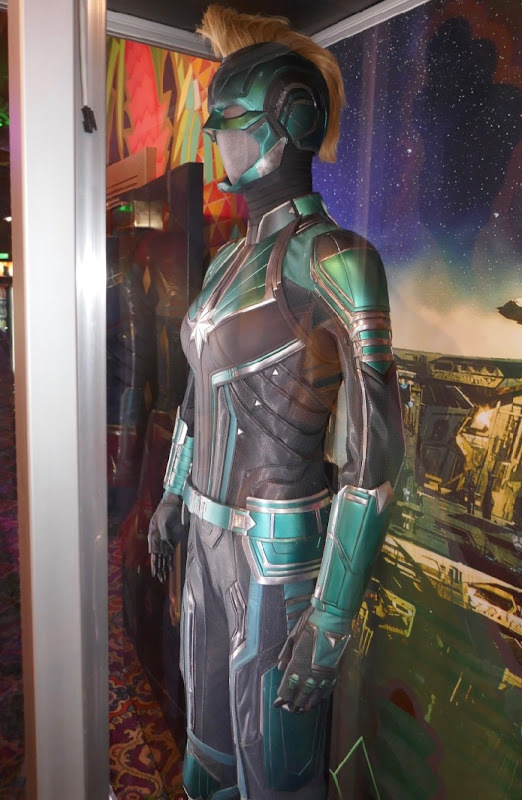 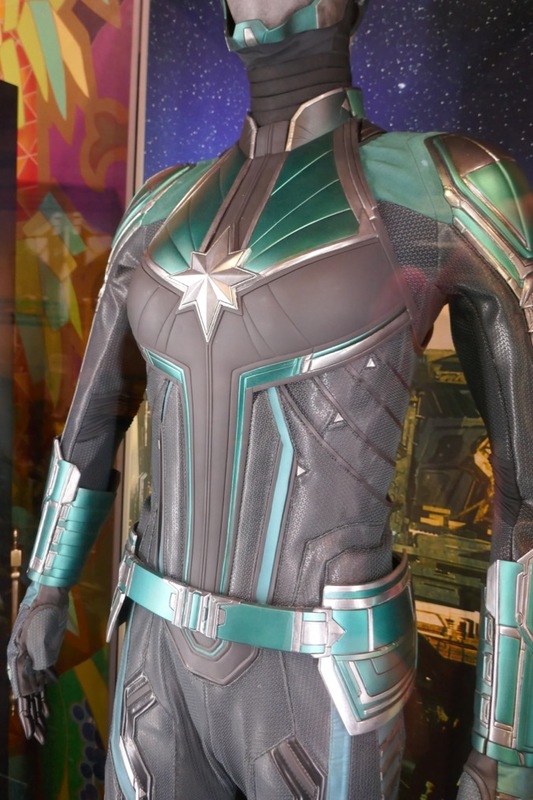 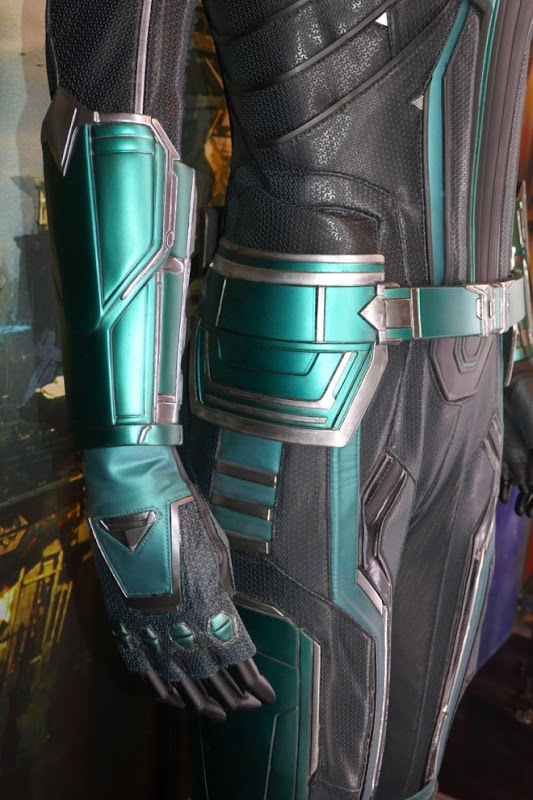 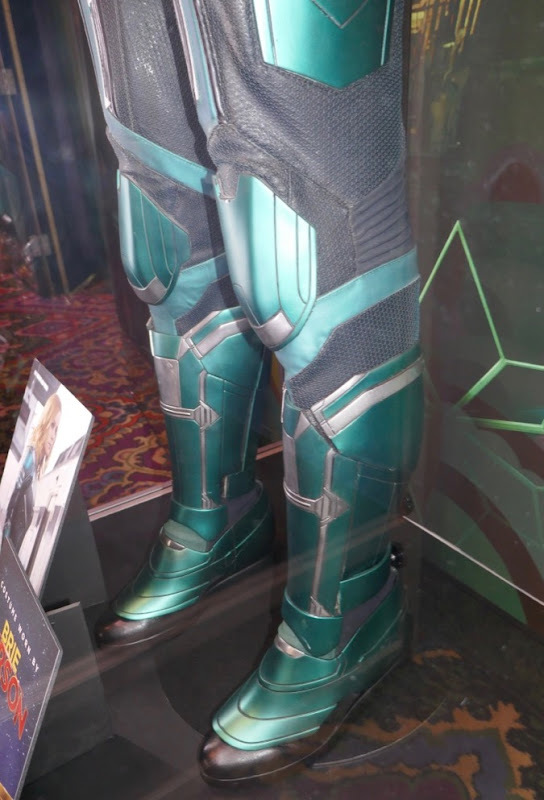 Sanja Milkovic Hays was Costume Designer on Captain Marvel's solo origin movie and if you like this green, silver and black uniform, be sure to also check out Captain Marvel's red, gold and blue costume from the movie. 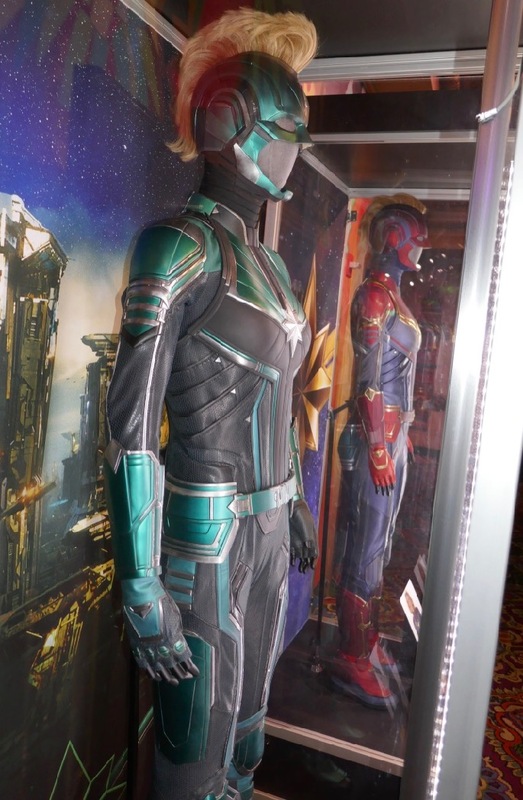 Meanwhile Brie Larson fans can also check out her Free Fire film costume and her Kong: Skull Island movie costume on display.